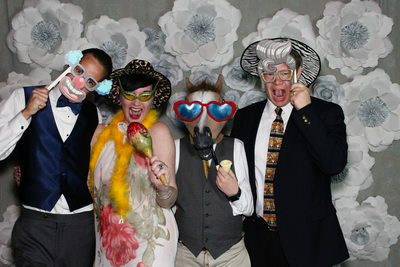 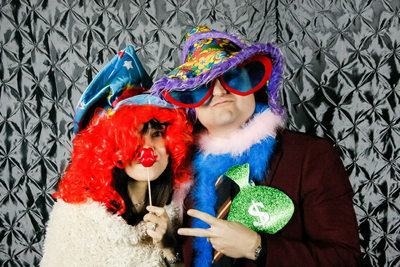 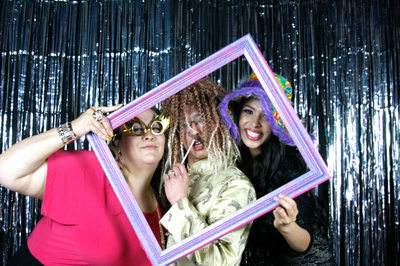 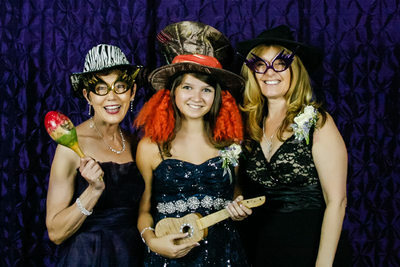 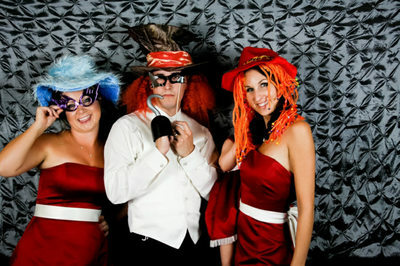 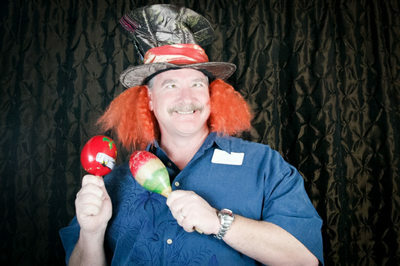 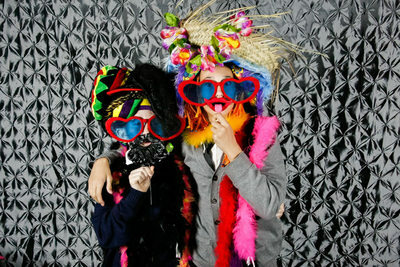 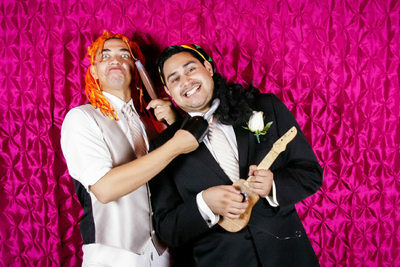 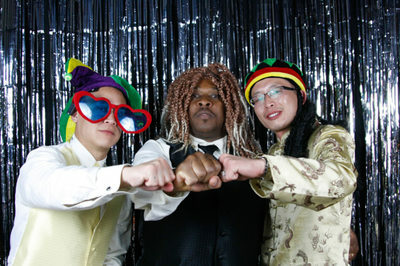 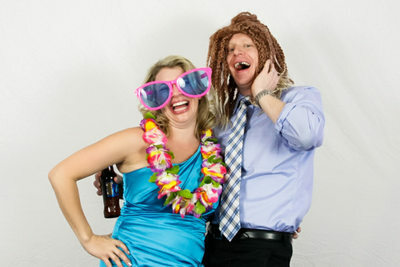 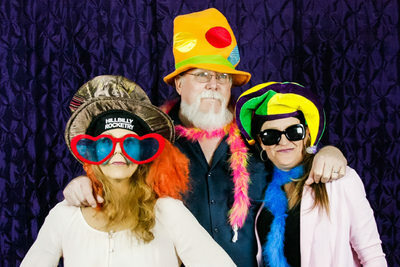 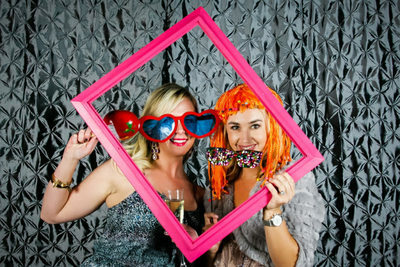 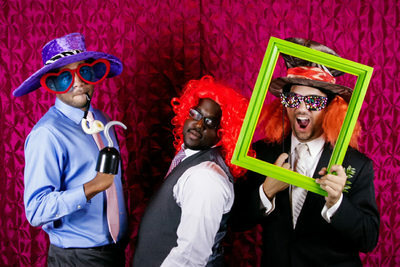 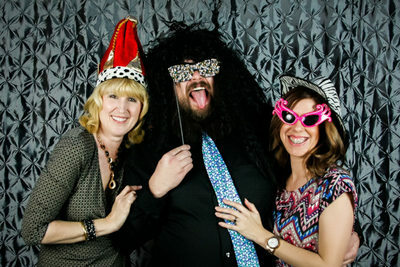 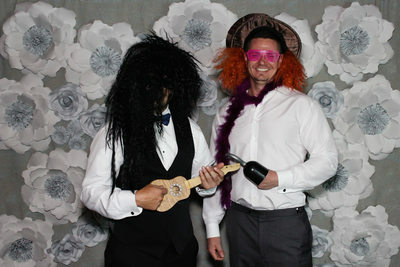 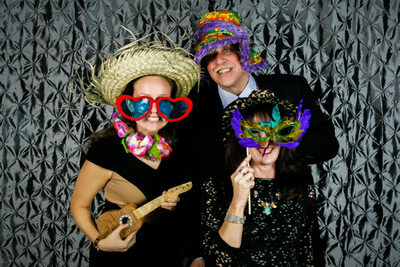 Our Fun Booth service is an interactive open air photo booth with a camera, lights, a backdrop, and awesome props like hats, glasses, wigs and much more for you and your guests to create fun and hilarious photos at your event! 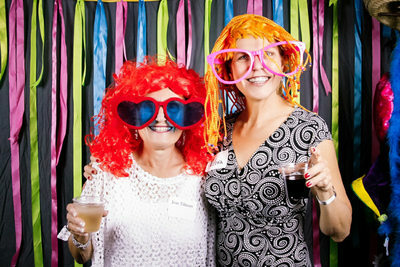 Scrapbook add-on is free! 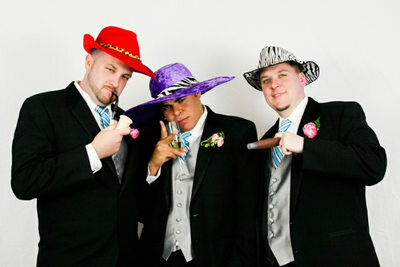 Includes unlimited prints. 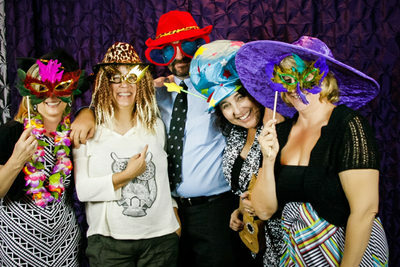 We print enough copies so everyone in the photo gets a copy. 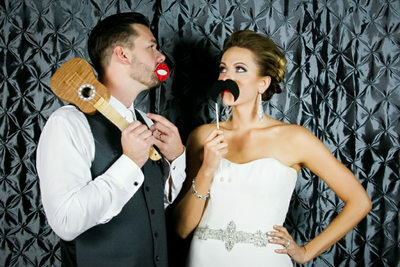 We have multiple backdrops to choose from or you can bring your own.